The book is about a family of geese. It is written in first person by Mother Goose who shares the story of her species. 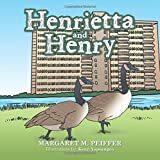 The book includes a poem about her life and lessons we can learn about the habits of Canadian geese.